Pearson College UWC, located just outside Victoria, B.C. on the unceded territory of the Scia’new First Nation (also known as Beecher Bay), is one of 17 UWCs (United World Colleges) around the world. The College is a two-year, pre-university school for up to 200 students from more than 100 countries who live, study and learn together pursuing the International Baccalaureate within an experiential education approach. A group of visionaries founded the College in the early 1970s with the goal of creating a national memorial to Nobel Peace Prize winner and former Prime Minister of Canada, Lester B. Pearson. Mr. Pearson’s beliefs about peace and global understanding aligned very strongly with those of the UWC mission: “To make education a force to unite people, nations and cultures for peace and a sustainable future.” After Mr. Pearson’s death in 1972, the nascent College was named in his honour with the first students arriving in September 1974. 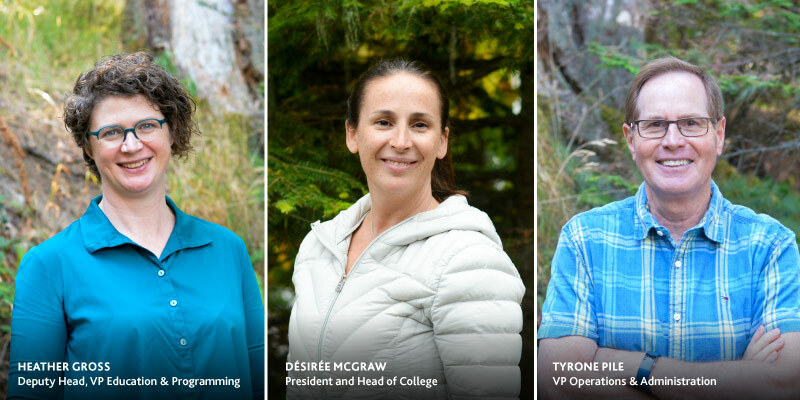 Today, more than 4,200 students have graduated from Pearson College UWC and, as alumni, are continuing to live the UWC mission by working as leaders and agents of change in communities and organizations around the world. For more information about the College and the UWC, please explore this website and our Facebook, Twitter and other social media links. Click here to view this info in a pdf document. Learn more about frequently asked questions, and pick up more fast facts about the College in a short, easily digestible form! 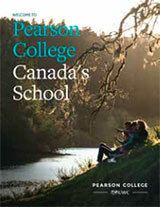 Learn more about Pearson College in this booklet. Pearson College UWC is Canada’s most international school and is one of 17 prestigious United World Colleges around the globe. The College is located along the wooded shores of the Pacific Ocean at sheltered Pedder Bay, on the southernmost tip of Vancouver Island, just outside Victoria, B.C. Pearson is a two-year, pre-university school for up to 200 students from over 100 countries who live, study and learn together pursuing the International Baccalaureate. A group of visionaries founded the College in 1974 with the goal of creating a national memorial to Nobel Prize winner and former Prime Minister of Canada, Lester B. Pearson, in the form of a school that aligns with the UWC Mission: To make education a force to unite people, nations and cultures for peace and a sustainable future. More than 40 years later, this mission continues. Today, about 4,000 students have graduated from Pearson College. Its alumni are determined to make a positive difference in the lives of others. In the 2016/17 academic year, approximately 90% of our students received full or partial scholarships, either from Pearson College UWC or from an outside organization. While the vast majority of students receive full or partial scholarships, the cost of a comprehensive International Baccalaureate-based, experiential-infused education is about $50,000 Canadian annually. 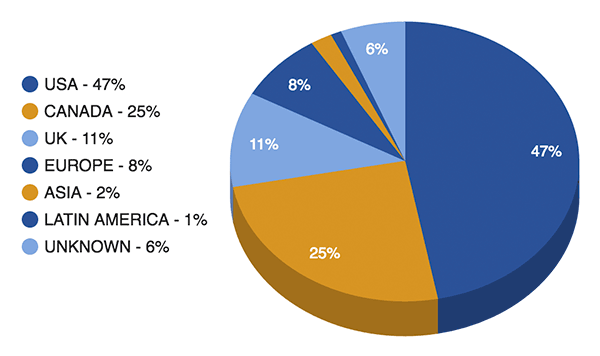 Over the last two years, Pearson College UWC graduating students went on to study at universities and other post-secondary institutions around the world. Sustainability is a core principal of the learnings and practices of the College. Since 2008, the College has reduced electricity, natural gas, water and paper use by 10%. Food scraps are recovered for composting and ongoing improvements to buildings are further enhancing energy efficiencies. Since March 1997, Pearson College UWC has acted as Ecoguardian of Race Rocks Ecological Reserve, a small collection of islands and a marine reserve located in the eastern entrance of the Strait of Juan de Fuca in the Salish Sea. The College volunteered to take over a long-term lease from BC Parks to manage the area and provide a human presence for the protection of the island and marine reserve. The site is staffed by the official Pearson College UWC Ecoguardian, and has become a learning centre for the students of the College, due to the rich marine environment. It also acts as a test area for some of the College’s key sustainability initiatives and learning initiatives. For example, electricity for the buildings on Race Rocks is generated by the integrated energy system. Because of its high-current area, there is an exceptional variety of marine life found on Race Rocks. It remains a haul-out area for California and Northern sea lions, as well as a birthing rookery for Harbour and Elephant seals. Thanks to a three-camera remote viewing system, people from around the world can view Race Rocks via the live video feeds. Award-winning Coast Salish actor (Toby McTeague, Smoke Signals) and physician, now Chief Medical Officer for B.C.’s First Nations Health Authority, serving 250,000 Indigenous people. Associate Deputy Minister of Finance; has been named in The Top 100 Most Powerful & Influential People in Government and Politics in Canada in 2015. Children’s Rights Advocacy Director for Human Rights Watch. President of The Hague Institute for Global Justice in The Hague, Netherlands and a noted academic in conflict prevention, peacekeeping, and conflict management. He wasformerly a senior official at the United Nations. Former Shadow Foreign Secretary and Former Minister of State for Europe; including cabinet posts in both Tony Blair’s and Gordon Brown’s governments. Chief Executive Officer of SystemicLogic Group, focused on global research, innovation and digital technology. Prior to this, she headed inclusive banking at Standard Bank. Creative Director of Prana Studios — the film company that developed the fire-breathing beasts in Game of Thrones, and partnered with the group who made the special effect for Life of Pi. Irish novelist longlisted for the 2015 Man Booker Prize; winner of the 2007 Man Booker Prize.